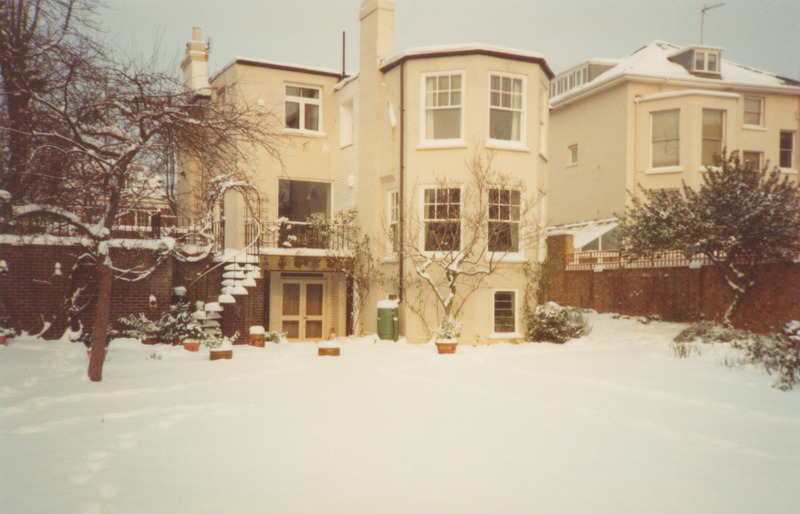 Family life – Oz and I moved into 37 Circus Road in the spring of 1959. We paid £12,000 for the freehold. We had a very nice au pair who helped us with the children but who had plenty of time off to study and evenings off when we were not going out. We also employed a lady to clean the house three times a week. We began by having a laundry, which collected and delivered the bedlinen in neat wicker baskets. This did not last very long as the era of the washing machine was coming in and we soon got one plus a dryer. 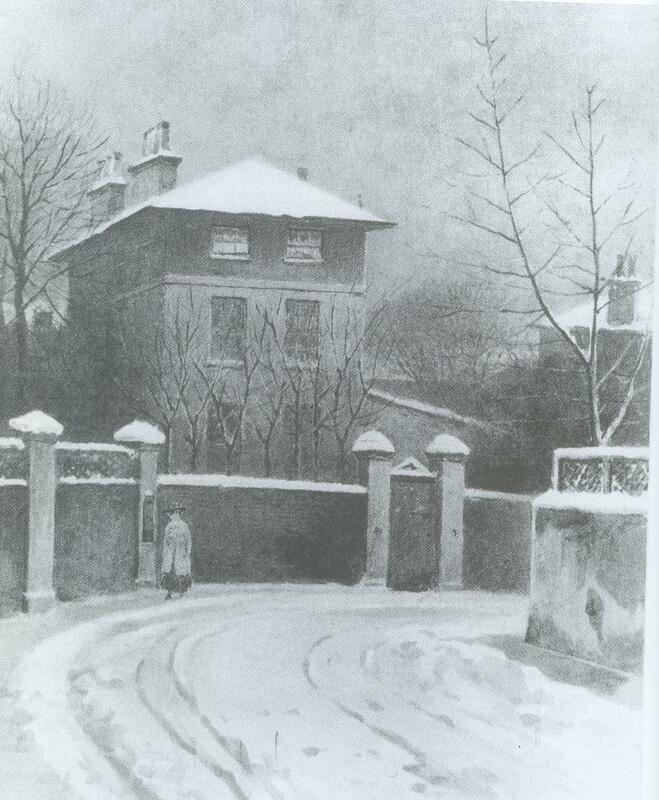 Our doctor lived in Hamilton Terrace – Dr Evelyn Maclagan (the granddaughter of the Archbishop of York who had crowned Queen Alexandra in 1902) ran a one person private practice and she did not join the NHS when it started as she felt she was too old to change. We could make an appointment with her and see her the same day or she would come at any time on a home visit. I remember we would get a bill 3 or 4 times a year for 4 guineas. She also came for the home delivery of my third child in 1959 together with the local midwife. The latter would continue to come in from time to time to see that I was getting on alright afterwards. The Infant Welfare Centre, a little beyond Charlbert St, was excellent; one could go in anytime to get most helpful advice about the children when small. As was usual then the baby spent hours in her pram in the garden; in fact once I went into her bedroom in the evening and found the cot empty; I dashed outside and found her still gurgling happily in the pram. When they were little my boys wore buster suits with the shirts buttoned onto the trousers and my daughter wore dresses smocked by my husband’s old nannie. 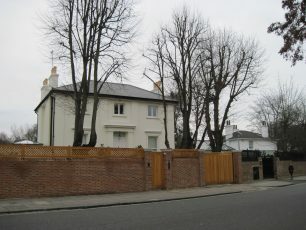 Friends in the area – We had cousins living round the corner in Cavendish Avenue and we quickly made friends round about, but not at no 39 – they were very unfriendly and it was not until the publication of Spilling the Beans by Clarissa Dickson-Wright that I learned the full horror of the abuse going on there, although it was clear something was wrong. My children went to a pleasant small nursery school run by friends in No 29, Richard and Dawn Marriott. He had a senior post at the BBC and had been Foreign Liaison officer there, looking after needs of foreign broadcasters who used BBC facilities to transmit material to their home country during the Second World War. Later their daughter and ours went by bus to St Christophers School in Belsize Park; the road was too busy for children to play in but we saw them across. One day our cousin phoned to say that he had spotted that the two girls had got their recorders out and were dancing round the bus stop to pass the time. The boys went to the Hall School – I drove them there – parking was not a great problem. At no 35 there was a studio making church glass; later it was bought by two distinguished psychoanalysts who became firm friends. St John’s Wood Shops – Mr Swatland, the butcher in Charlbert Street had excellent meat; he had a lady in a glass box in the shop who took the orders and who always answered the phone with “Swatland the Butcher” and it would be delivered the same day. There was also a fishmonger next door, and on the corner with Circus Road were Mr & Mrs Brown who had an excellent grocer’s shop. The deliveries came by van driven by Max, who would carry his basket of goods into the kitchen. The High Street was full of useful shops including Timothy Whites, hardware, chemists and picture framer, a beautiful shop of special toys with hand made dolls houses etc, and a greengrocer on the corner at the bottom next to the churchyard. It was a proper centre for the local community. The library was excellent and gave the children lots of help choosing books. In 1965 Oz acquired a red and green macaw –not a parrot. They were devoted to each other and Oz would often take “Croaker” for walks. The bird would sit quietly on his shoulder. People were quite used to the sight. One day they were standing in a queue in one of the small stores. All were quiet until someone behind them said in an agitated whisper: ”Excuse me Sir. Do you know there is a parrot on your shoulder?” In Circus Rd opposite the library there was a very handy shop, rather like a little department store. It had an enclosed glass display cabinet on the street with a covered walkway all round it and behind it and more display windows on each side, the entrance to the shop in the middle. This used to be quite a usual shop front, now long gone. Special features of St John’s Wood – The Hospital of St John & St Elizabeth had a convent building in the courtyard when we first came. But after a time the nuns went away and it became a more general hospital. The chapel is very ornate and grand and is the Chapel of the Order of the Knights of Malta. Very occasionally one caught a glimpse of the Order in full dress attending a special service – great black cloaks and ornate hats. The Royal Horse Artillery were a lovely sight as they rode past early in the morning on their way to the Park. If there was to be a special gun salute the guns made a great rattly noise as they went by ( so sad to think this is now finished.) The Commanding Office very kindly agreed that for our daughter’s 8th birthday she might bring a small group of special friends to be shown over the barracks. I was to be responsible for their good behaviour, especially when they were shown the beautiful horses in their stalls. They even supplied a birthday cake when we were given tea at the end of the visit. Elm Tree road was a delightful little street of handsome houses. 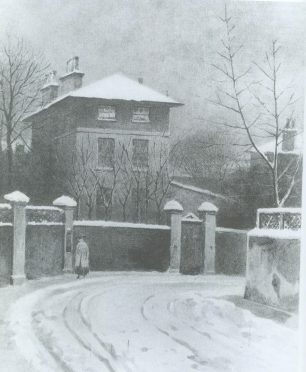 Soon after the War (before our time there ) there was a small French Art School in the little mews on the corner. I know this because my sister studied there when she came out of the army At the far end of Elm Tree Rd, across from the main road, between the flats at the end of the little road I was told that there was a proper little dairy! Probably more room for cows pasture nearby too. Alma Tadema’s rather curious house opposite where the synagogue now is, in the next road to us, was already divided up into separate dwellings. We were abroad from time to time, in Central America and the Far East, when we used to have very nice Americans as tenants – we were so conveniently spaced between the American Embassy and the American School. We sold our house in 1993 for a substantial sum, but before prices went into the millions. It all seems a long time ago, but it was a very happy house in which to bring up our family. This page was added on 08/01/2012. 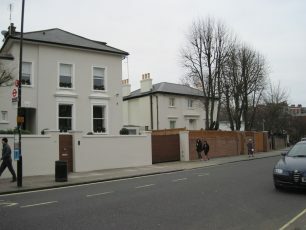 Dr Evelyn Maclagan, Faith Robinson’s doctor, lived at 22 Hamilton Terrace from 1934 until at least 1947 and perhaps later. She shared the house with another doctor, Dr Emmie Dorothy Fenwick, according to the Electoral Rolls for that period.